New Price! Patriot Blue Pearlcoat 2018 Jeep Cherokee 4WD, Keyless Entry, Backup Camera, Bluetooth, Alloy Wheels. FCA US Certified Pre-Owned Details: * 125 Point Inspection * Roadside Assistance * Powertrain Limited Warranty: 84 Month/100,000 Mile (whichever comes first) from original in-service date * Includes First Day Rental, Car Rental Allowance, and Trip Interruption Benefits * Limited Warranty: 3 Month/3,000 Mile (whichever comes first) after new car warranty expires or from certified purchase date * Transferable Warranty * Warranty Deductible: $100 * Vehicle History Odometer is 3064 miles below market average! Thank you for visiting Wabash Valley Chrysler Dodge Jeep and Ram's Online Showroom. Our customers voted us #1 in Customer Satisfaction for a reason - because Wabash Valley works hard to make sure each and every customer is taken care of before, during and after the sale. Let Wabash Valley Chrysler Dodge Jeep and Ram show you how car buying should be. Make a confident, stress-free purchase knowing Wabash Valley was voted #1 in Customer Satisfaction by our customers for the entire Fort Wayne region. New Price! Black Clearcoat 2018 Jeep Wrangler JK Alloy Wheels, **KEYLESS ENTRTY**, Body Colored Three Piece Hard Top. FCA US Certified Pre-Owned Details: * 125 Point Inspection * Limited Warranty: 3 Month/3,000 Mile (whichever comes first) after new car warranty expires or from certified purchase date * Powertrain Limited Warranty: 84 Month/100,000 Mile (whichever comes first) from original in-service date * Vehicle History * Transferable Warranty * Includes First Day Rental, Car Rental Allowance, and Trip Interruption Benefits * Warranty Deductible: $100 * Roadside Assistance Priced below KBB Fair Purchase Price! Odometer is 4375 miles below market average! 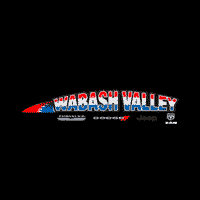 Thank you for visiting Wabash Valley Chrysler Dodge Jeep and Ram's Online Showroom. Our customers voted us #1 in Customer Satisfaction for a reason - because Wabash Valley works hard to make sure each and every customer is taken care of before, during and after the sale. Let Wabash Valley Chrysler Dodge Jeep and Ram show you how car buying should be. Make a confident, stress-free purchase knowing Wabash Valley was voted #1 in Customer Satisfaction by our customers for the entire Fort Wayne region.